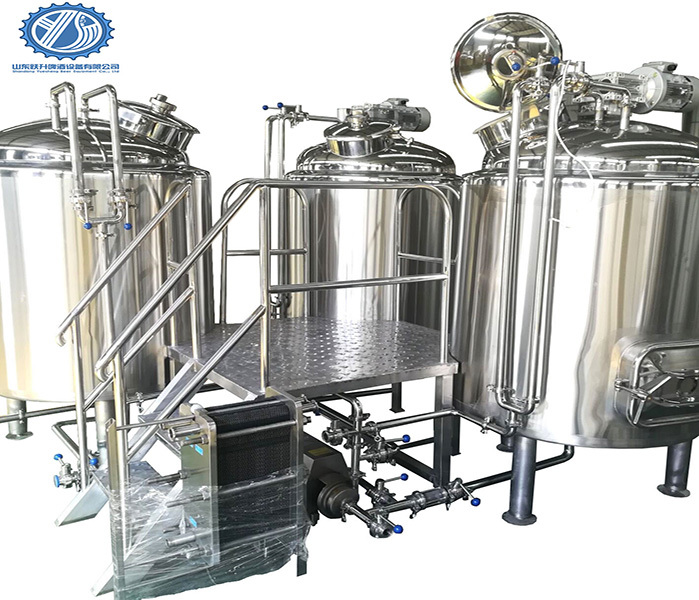 Malt Mill: 300-500kg/h, Brand malt mill, all Stainless steel, two alloy rollers mill, complete with motor, belt and pulley, the distance can be adjusted. 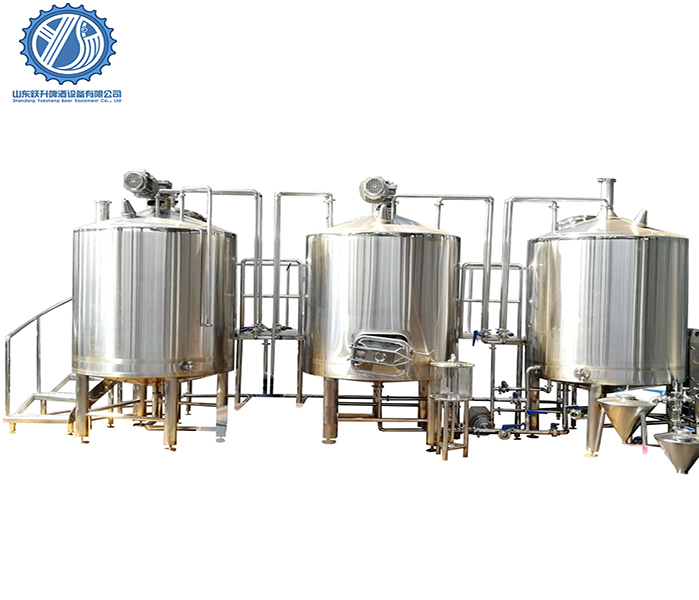 The brewhouse system: Three vessels brewhouse tank (mash / lauter, kettle / whirlpool, hot water tank), effective volume: 1000l, total volume: 1500l. Material SUS304, top dished head, Surface brushed, interior mirror polish, Polyurethane insulation, thickness: 100mm; Inner body thickness 3mm, cladding thickness 2mm; Rotary CIP spray balls, temperature sensor; Stainless steel manhole with sight mirror, Led cold light, bright, lower power consumption and lasting; Stainless steel legs adjustable. Heating method: electric heating, steam heating and gas heating. Associated fittings: Mechanical agitator with frequency converter, Siemens motor, ABB pump, double or single stage plate heat exchanger and other valves. 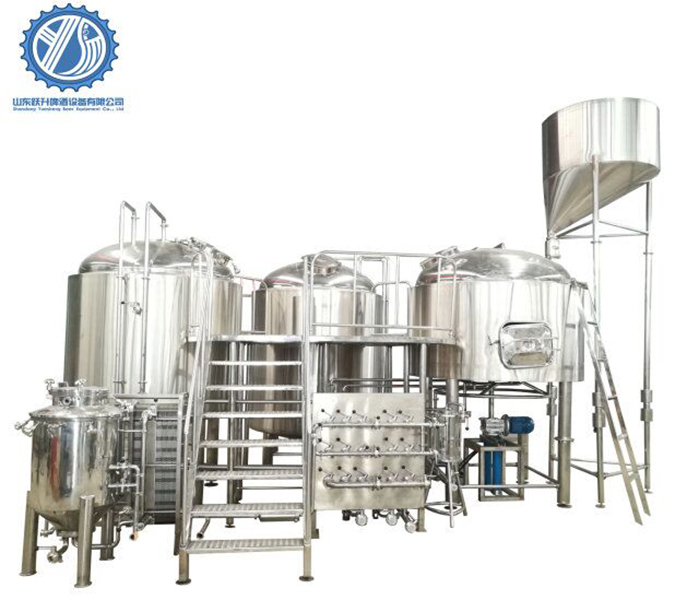 inner thickness 3mm, cladding thickness 2mm; Dimple type glycol cooling jacket,thickness is 1.5mm; Top safety valve, Side manhole door, Top hops adding port, Rotary CIP spray balls, cleaning elbow, temperature sensor, Sample valve, separate outlet for yeast and clear beer, lower side cone beer outlet(rotary), bottom drain port; Mechanical pressure valve, Pressure gauge, Glycol solenoid valves, Stainless steel legs with screw assembly to adjust legs height,Complete with associated valves and fittings. 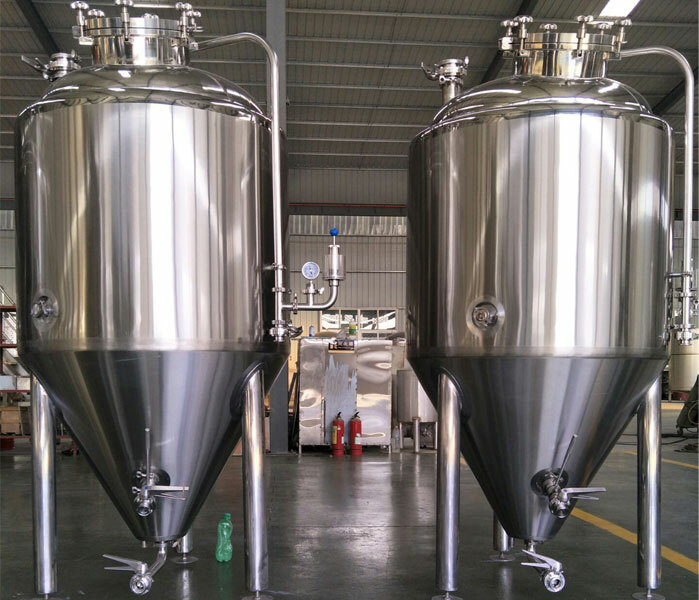 Glycol water tank: Sanitary Stainless steel 304, Effective capacity 2000L;Surface brushed, interior mirror polish; Polyurethane insulation thickness: 100mm;The thickness of inner body is 3mm, cladding is 2mm; Top round shape man-hole door, temperature sensor; Stainless steel legs adjustable. Complete with associated Kansa chiller, ABB pump and valves and fittings etc. 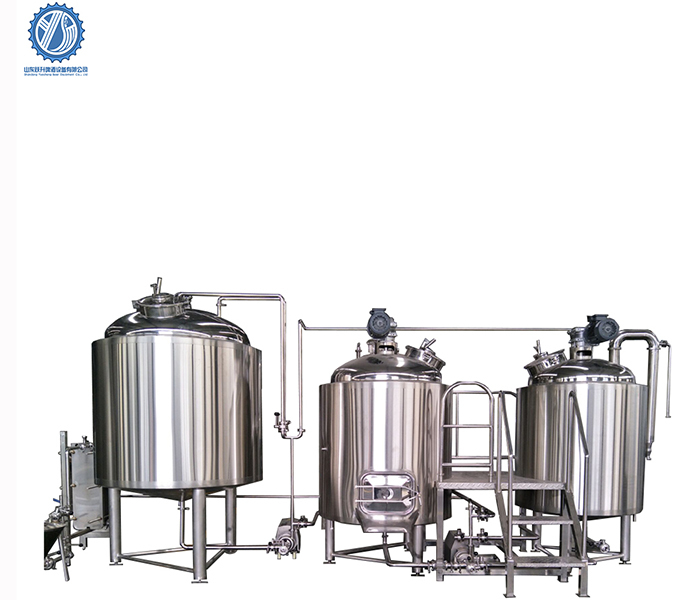 CIP system 100l, Sterilization tank, Alkali Liquor Tank, CIP pump, Trolley and Control Box. PLC automatic control system or DCS semiautomatic control system.